Today Sound Disturbance starts, a two day long nordic festival in Malmö for sonic art. Entrance is free and everything takes place at Inter Arts Center in Malmö. In addition to concerts with artists from all Nordic countries there are a number of interesting seminars. Furthermore you can also visit installations by comic book writers, video artists and others. The event is a collaboration between C-Y (ContemporarY), MUU and Nordnorsk Kunstnersenter. During the concerts you can listen to experimental music from various genres, like ambient, drone, noise and electroacoustic music. 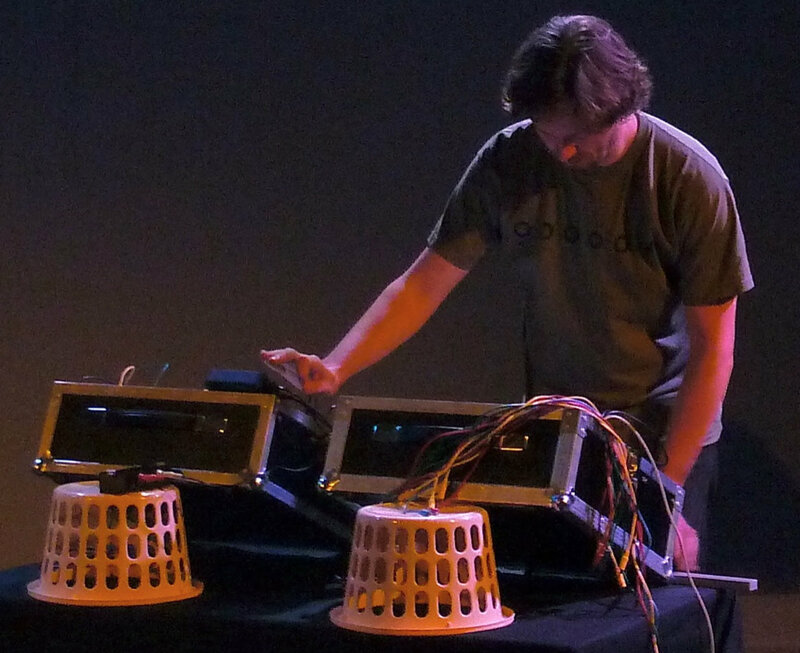 There are also collaborations between sound artists and comic book writers in live sessions. The entire schedule and all information is available here. Here are some tracks from a few of the performing artists. Modular synthesizers! For some (plenty of people) the term leads to a greedy look and the want for new sounds, new equipment and more. The fact is that – after many years as an obscure and forgotten instrument – during the last years a rather large subculture has formed around modular synths. This has created a lot of great music, and among other things led to an interesting documentary about synth history: I dream of wires (also available on Netflix). In Sven Rånlund’s gentle hands the modular synth generates everything from nice polyphonic, rhythmic compositions to scifi sounds and more abstract structures. The 60’s is still there but somehow filtered through the years 2014-2016. You can sense from the titles that here is a composer who works in a playful way but still seriously, which is also emphasized by the philosophic texts in the CD booklet. The modular life (“La Vie Modulaire”) is a fun and exciting journey. Have a listen! It’s not too often I write about techno but here’s a track from Biskuwi, a producer hailing from Uppsala. The song is called “Ardent”, a track where he efficiently builds up a dark urban atmosphere. It’s a straight track revolving around the relentless kick beat and a creaky synth which supplies the harmonies. He adds beats, ominous melodies, effects and also breating spaces which all emphasize the ambience in a smooth and varied way. The atmosphere is dark, but the earnestness and glow in Theresia Billberg’s voice keeps us warm in the winter cold. She calls herself Maj Dolores as a solo artist and together with her collaborator Martin Östman she has produced the three-track EP “Min vän” (“My Friend”). Here they have created their own sound, a combo of an organic rhythm section and synth pop with vibes of the eighties. The personal and intimate stories land in sparkling choruses, which feel emotional as well as catchy. These are three appealing, strong and daring songs that definitely deserve more attention. “Say That” is a song collaboration between the Stockolm based producer and artist Finis Mundi, aka Nino de Felipe, and the German artist Novaa. It’s an exciting duet and love drama where the singers interestingly has their own musical theme. The song starts with Novaa’s soft vocals in a laidback, intimate R&B-vibing verse and then switches over to Finis Mundi who cuts through the fluffy pillow with screaming synths and a harder beat. And they continue swapping like this the song through, glued together by sweet overlaps and the underlying theme. A different and creative track.